Rasam is a digestive generally served in all South Indian Thalis. 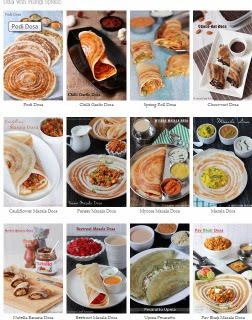 There are many variations in rasams available. The variety varies like Dhal rasam, Lemon rasam, Mint rasam, Mango rasam. This version is prepared in tamarind base with tomatoes with freshly ground masala. 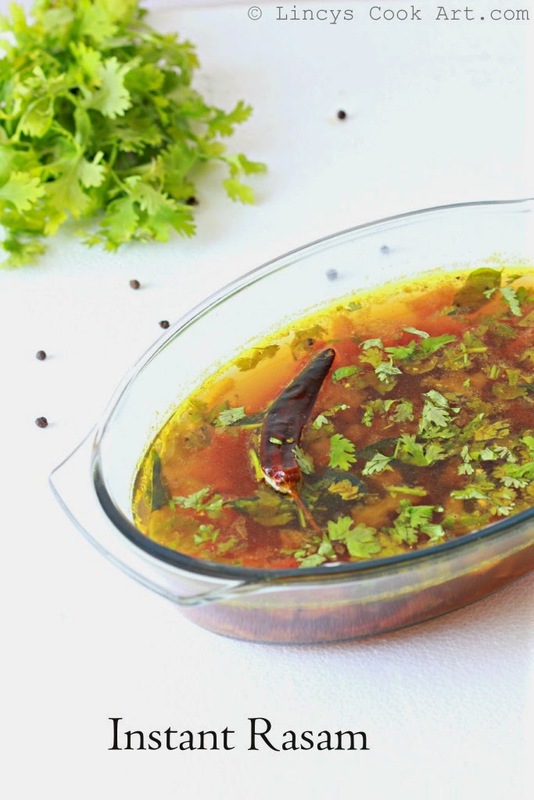 Rasam is always a comforting item served in all South Indian heavy Thalis for digestion. Rasam is not only used for digestion but also it soothes the throat. Making this rasam in cold season for lunch would be perfect. Pepper in this rasam soothes throat in case of cold or soar throat.This version is an instant easy to make version can be made without much effort. Grind garlic, pepper, jeera and coriander seeds together as a coarse powder in a mixer jar with out adding any water. In a big bowl keep the tomatoes and roughly crush them using your hands. You can do this using a blender. Soak the tamarind in quarter cup of water and extract the juices. Add the tamarin extract with the pureed tomatoes. Add the ground powder and mix well. Dilute this with 4 cups of water and add turmeric, chilli powder and salt. Heat oil in a pan add the mustard seeds and fenugreek seeds. Once it splutters add the broken red chilli and curry leaves. Add Asafetida in the hot oil and immediately add the tomato tamarind masala water. Reduce the flame to low and cook the rasam. Once the rasam starts to become frothy on top add the chopped coriander leaves and mix well. Check for salt and add if needed. Rasam is always a comfort food.. Looks delicious. love this yummy tangy rasam.. yumm..
My favourite and comforting food. Delicious Rasam! My fav one !